For those seeking more realistic model railroad operations, a fast clock - a clock that runs at some multiple of real time - is often the answer. The distances on our layouts are never as far as on a 1:1 railroad, and to simulate realistic timetable operations, we need time to be scaled down to match our trains. 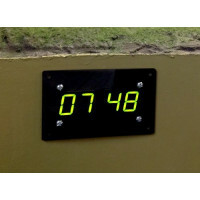 That's where the Iowa Scaled Engineering Fast Clock Master comes in - a fast clock targeting model railroad applications, with flexible configuration to accommodate most any layout or operational scenario, and that will automatically network with other displays placed around the layout. 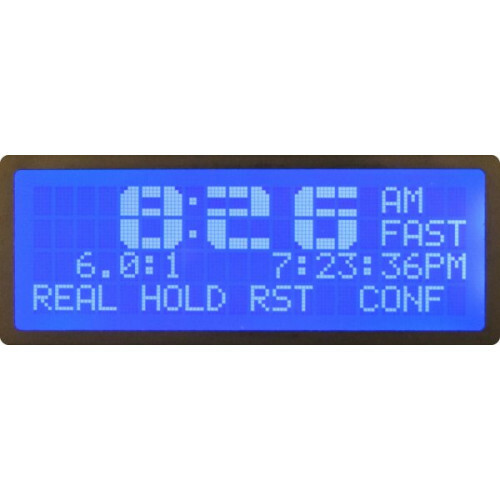 Connected by standard Cat-5 cable, the secondary displays show the current time - either scale or real - so every operator can easily keep an eye on the time. For those not wishing to install additional cable infrastructure around the layout, the Wireless Fast Clock Master and Wireless Secondary Displays are the answer. 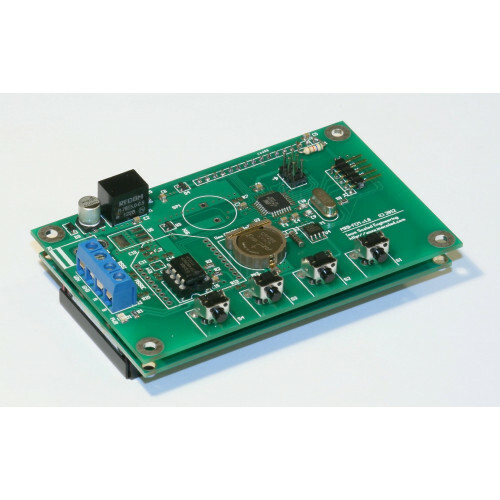 The Fast Clock Master requires an 8-18V DC power supply, capable of an additional 3W for each master and secondary display being powered. 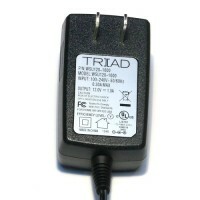 Example: 1x Fast Clock Master + 3x Secondary Displays = (1+3) * 3W = 12W minimum. Note: The following advanced use cases require the user to be familiar with embedded C programming. 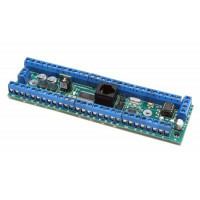 As with most of our products, the MRB-FCM is open source hardware and software. We provide all the design files, and you're more than welcome to build your own or tinker with the software. Design files can be found at the GitHub link above. Since the MRB-FCM broadcasts time status on MRBus, any node on the bus can be configured to act on the current clock status. Potential applications include automating layout lighting to match scale time of day, control of model structure lighting, or even triggering station announcements or layout animations. 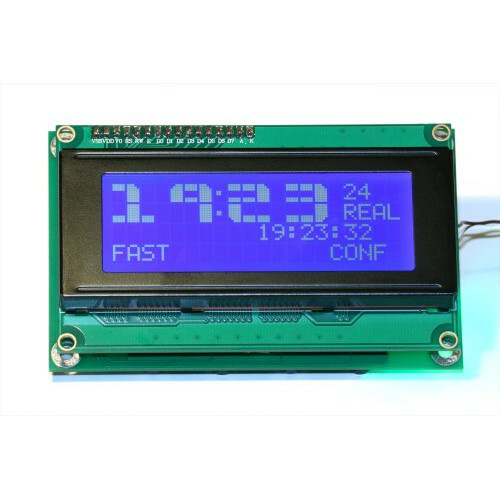 Alternatively, for users willing to write their own firmware, the MRB-FCM can be repurposed as a generic MRBus-enabled LCD panel with a real-time clock and buttons. If anyone actually does this, please let us know and we'd be happy to feature your new application. The idea of a clock that runs faster than real time to compensate for the compression in our model world is nothing new. The idea has been with us since at least the 1960s. It provides a way to schedule our operating sessions, providing a sense of real time passage and urgency without needing literally thousands of feet of track to represent the vast distances covered by our prototype railroads. Aside from being a display on the wall, guiding operators’ train movements, fast clocks have remained an isolated system, our model world unaffected by the passage of scale time. Think about all the things in our daily lives that are linked to the time of day and you’ll quickly realize how odd that is given all our other technological advancements, and how much potential is in that idea. I believe fast clock integration is one of the huge, unexplored areas left in the hobby today for added realism. In this article, we’ll show you how to build an inexpensive device that allows you to synchronize items on your layout to fast clocks by using MRBus, the networking protocol that connects the Iowa Scaled Engineering Networked Fast Clocks, in conjunction with the popular Arduino prototyping environment. Have you ever been in the middle of an operating session and disaster strikes? A train derails, shorting out the DCC system, taking with it a power district, or even the entire layout. The problem is eventually fixed, but in the 5 minutes it took to restore things to the way they were, your fast clock kept ticking away. With a 3:1 ratio, all trains are now suddenly 15 minutes late. Wouldn’t it be nice to simply press a button on the fast clock to pause time, then with a single press, restart the time right where it left off? One of the new projects we are working on is an “Interlocking In A Box” – a simple, yet flexible piece of signal logic designed to control an automatic interlocking for a diamond on a model railroad. The idea came from one of the mail lists I’m subscribed to and we have been working on refining the definition and designing the signal logic over the past several months. I figured now would be a good time show everyone where we are headed and maybe get some feedback. 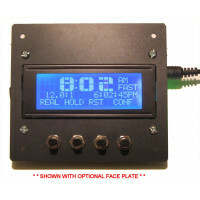 Looking to enhance your operations with a fast clock system? Do you need multiple displays around the layout? Do you want a configurable, yet easy to use system for your operators? The Iowa Scaled Engineering Fast Clock system may be exactly what you need.